seat for use from birth. 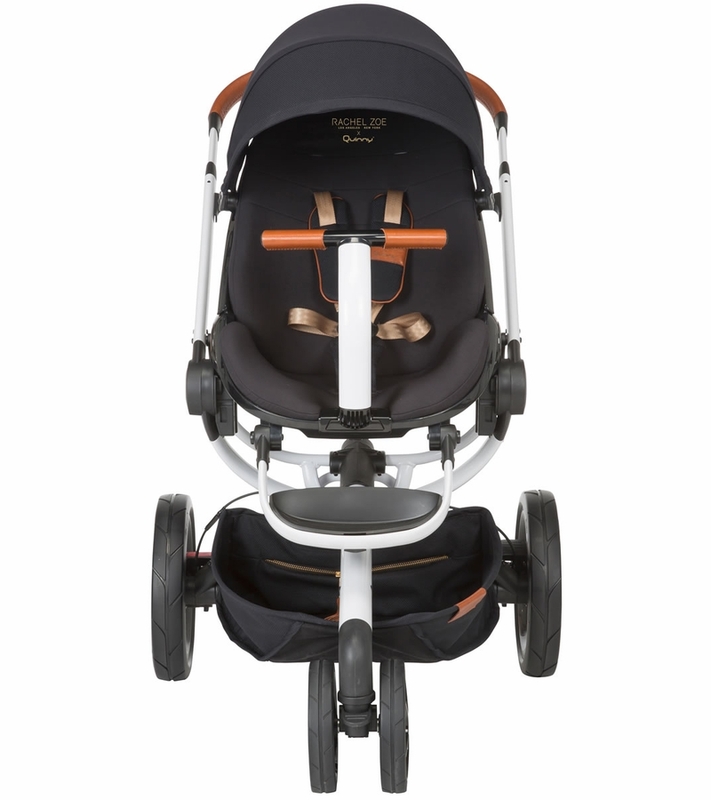 The reversible seat allows baby to face you or explore the world. Multi-position recline so baby can nap comfortably on the go. Folds down easily, and unfolds automatically with the push of a button. Easy to assemble, Great quality! Easy fold! Compact size and very chick. VERY GOOD TO DO EXERCISE, THE WHEELS ARE LIKE A 4X4! I CAN WALK FOR A HOUR AND THE BABY FEELS VERY COMFORTABLE AND WITHOUT STRESS! THE ONLY THING IS THAT TO TRANSPORT IT IS A LITTLE BIT! BUT I DO NOT CHANGE IT FOR NOTHING! ProsIT IS NOT COMFORTABLE TO TRAVEL WITH IT! OCCUPY ALL THE TRUNK OF THE CAR !! Incredible stroller! Steers like a dream and is super smooth ! As for the seating it�€™s superrrr cushioned so I know our baby will be super comfortable! Cushion is also detachable and is able to be machine washed. I�€™m very satisfied with this purchase. However side note the stroller is heavy. It is not a light weight stroller. But with all the amazing details this stroller has I don�€™t mind lifting up the extra pounds . . I also bought the maxi cos? car seat and it fits in perfect I do not need an adapter for the stroller as the one that came with it fits the maxi cos? brand like a glove. The only bummer was that the wheel of the stroller arrived broken. I contacted customer service from the manufacturer and they were super nice and sent a brand new one next day mail with no fees! So great customer service! 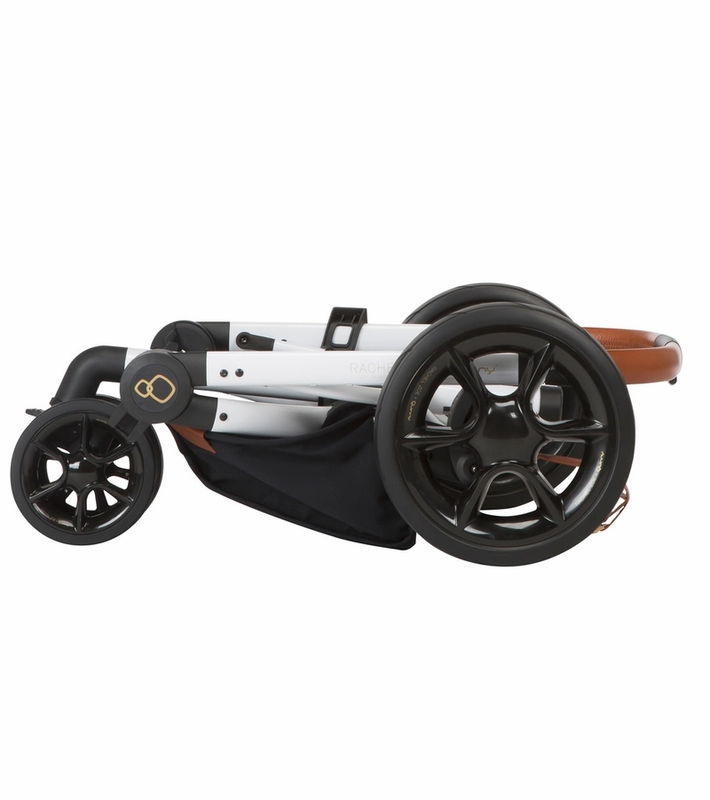 I always found this stroller beautiful, but I found it a bit heavy and takes up a lot of space in the car trunk. But otherwise, it is very nice and comfortable. Very stable stroller, simple assembly. Seating is very Comfortable for babies. Does come with a sets of maxi cosi car seat adapter. Love the color and love that its black frame. Purchased Maxi Cosi mico to go with. Appreciate the price cut. My husband and I love this stroller. We get a lot of compliments when we use the tuk bassinet. 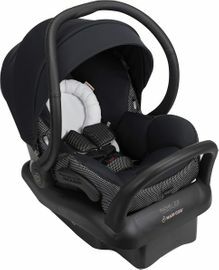 My baby sleeps well in this when we are long walks, it drives very smooth. High quality, yet functional. I do agree with other comments that the basket is small. However, stroller is everything I hoped it would be and at $299 it's a great deal! 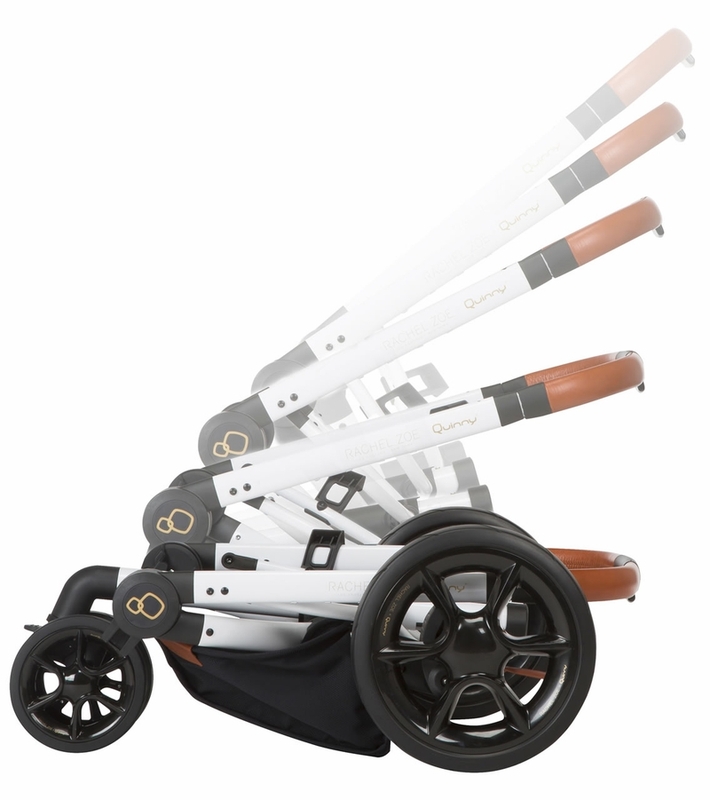 The best stroller, great design and safe, easy to use. Love it. this is a very stylish and comfortable stroller. the only bad side that the basket is very small, but I would still recommend this stroller. I'm often stopped and asked where I got it from. Beautiful, beautiful very comfortable lightweight. Highly recommend! Will buy again.. 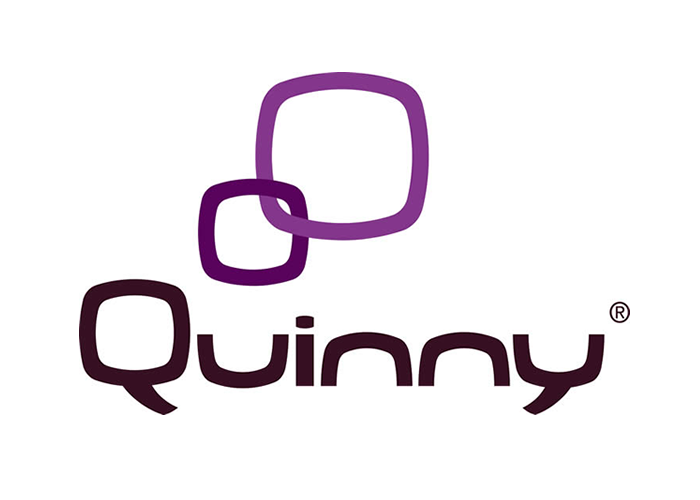 I love quinny style. This gave me an awesome opportunity to get this stroller at a great price. Its amazing, i highly recommend it!! ConsA bit hard to close when facing front. I am beyond satisfied with this stroller, even my 15 month old daughter agrees with me. Every time She sees the stroller she wants to be seated and push. I extremely recommends this model. The price is a steal as well. It's exactly what I expected. This is a cool looking stroller. Very comfortable seat for the baby. Feels compact. The Seat fabric is not of very good material, yet it is comfy. The canopy is a thin slinky type of fabric, also not durable. The wheels are air tires, arrived flat no air and there is no air pump so you need to purchase one. Most strollers with air tires come with an air pump this one doesn't. The break / stopper for this stroller is very hard to break/release. I read reviews regarding this issue and it is true. Overall I got it cause of fashion not quality. It's good for a second stroller with pop color, but not for travel. the stroller not only looks chic is super practical easy to maneuver and light, I love the adjustment of the height for when I'm wearing heels. Shipping was super fast !! And the stroller is amazing! I can't wait for my baby to get here and use it. :) its great for an awesome price. I purchased this model because of the style and price. Albee Baby offered the best price out in the market today, and it arrived quicker than expected. I was given a T# right away, and it actually showed up sooner than it's estimated delivery.Opening up the box and assembling the stroller was easy. The overall quality is good. I have not used it just yet. The color is a nice gloss black. The fabric is soft, feels comfortable for baby. The maneuvering feels excellent as well. Most people complain about the breaks not stopping the stroller immediately, but I don't have that issue. Other people mention it's heavy, but I think it's an okay weight. For me, I'm petite, which is why I chose this stroller. Most other strollers are bulkier and the handle to control the stroller are too high for me. This is just the right height and can be adjusted for taller folks.The only complaint I have right now is the shade keeps coming off as I recline the seat up and down. Not a big deal, but it's definitely installed as instructed and clipped as it states, but still comes off every recline. May have to confirm with the manufacturer if this is common/normal. Otherwise, I'm satisfied and will update my review upon use with our baby #2. 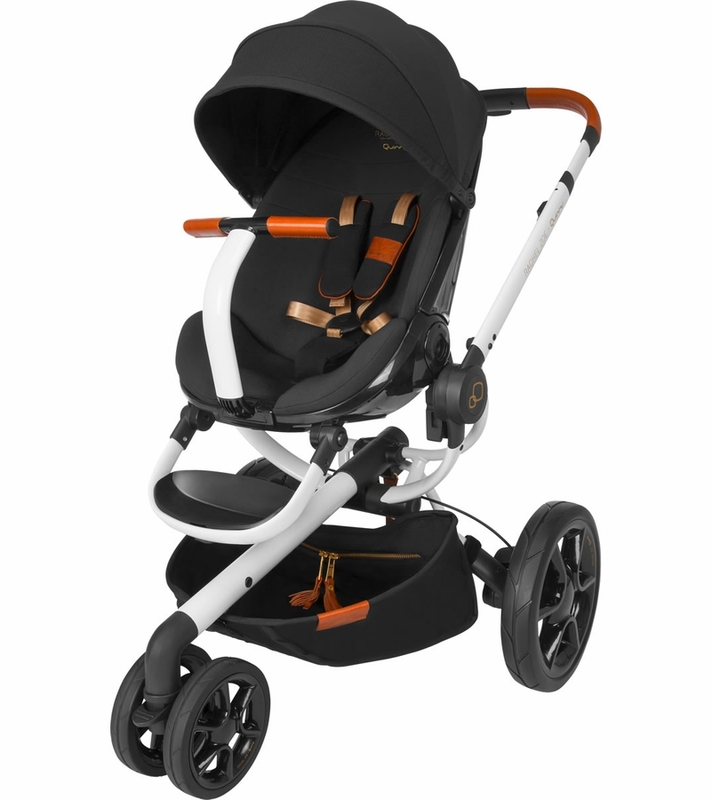 This stroller now for the best price!It looks very stylish and modern! Easy to unfold. Best option for city. Absolutely love my stroller! Rides smoothly. Good store have more things in my shopping cart to order. The colour is absolutely gorgous. Fantastic stroller at a great price!! My delivery was very quick , I love the stroller , the seat is a little heavy but everything else is perfect I'm totally in love with it . Love it! It was simple to put together. Love the colors. 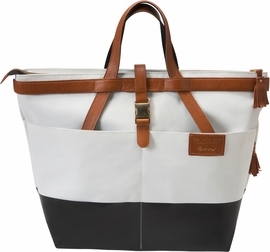 Its very compact compared to the other Quinny. Aittle on the heavy side but worth it. This stroller is great for the price. The only con is the storage underneath is small but a diaper/ shopping bags can be clipped on with additional hooks to the handle piece. The brakes is kind of hard to push down and and my wheels sounds a lil squeak sometimes I'm wondering if anyone else has this problem besides that I love the stroller oh and I wish the basket at the bottom was bigger l.
I purchased this stroller to make my son comfortable for long trips to a theme park, and so far I know I made the right choice. I have no complaints about this beautiful stroller. Worth every penny! This stroller has great strong wheels! It is on the bigger side of strollers takes up alot of space. The storage is very minimal and to me not very secure. 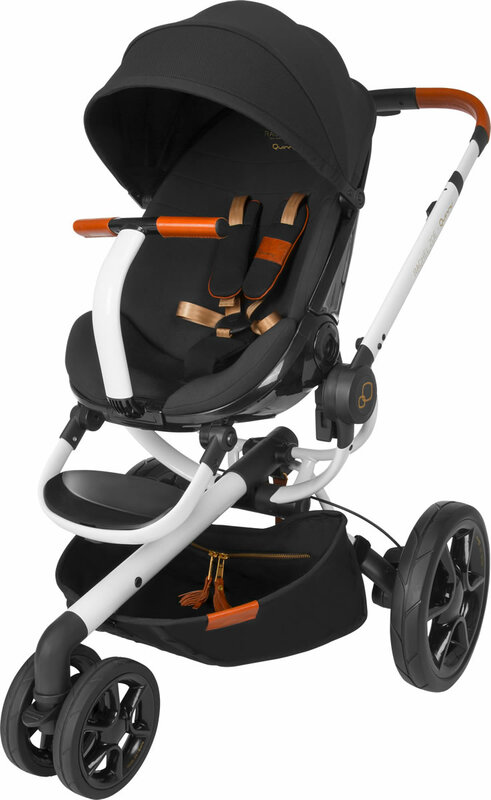 It is a very stylish stroller, easy to open and close. 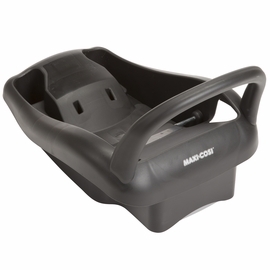 The maxi cosi infant car seat fits with adapters perfectly. Really wish it had a larger canopy! Reasons why I do not like this stroller:1) The brake is impossible to activate unless you stomp on it. I thought I had a broken stroller until I figured out that I had to stomp on the brake. Also, even when you activate the brake, the stroller moves which is a HUGE SAFETY PROBLEM. 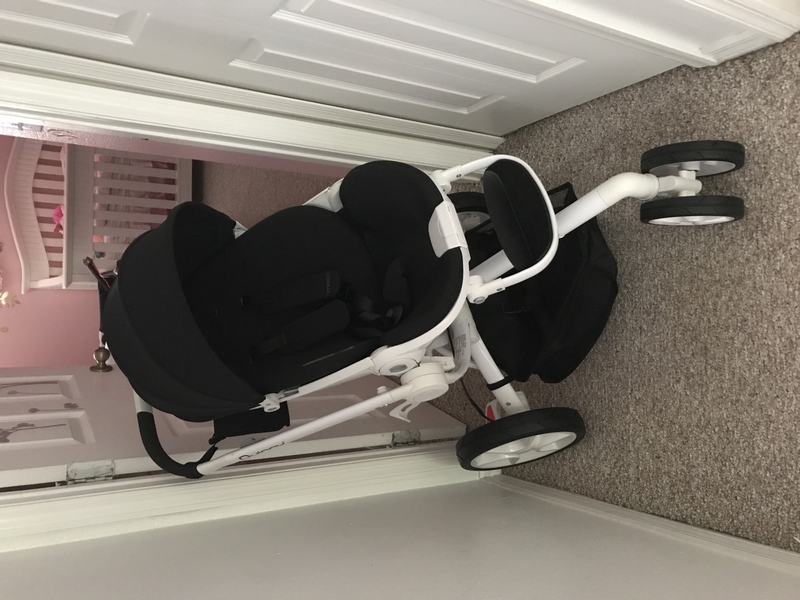 My Uppababy Vista does not move at all when I activate the brake on it. 2) The straps on the stroller is difficult to adjust. The instructional video and the manual is useless. Quinny's site has an instructional video of the moodd but it features an older model so I had to basically guess how to adjust the straps so it fit the bottom part of the three slots for the seat. I don't know if there's an easier way. It is also difficult to adjust the front straps too so I have to make sure that it is adjusted well before I put my baby in. 3) The seat is small so it is not good for a chunkier baby. 4) The basket is tiny and the way you attach it is not very sturdy. The only thing I like about it is that it looks nice...but functionally, it fails. I wish I would have just bought something else but I do not think it is worth it to pay return shipping costs for a stroller. Do yourself a favor and buy something else. For this price, I should have just bought another uppababy. I bought this stroller along with Maxi Cosi Mico carseat, and they work perfectly together for my newborn. The stroller is definitely not light-weight, but it holds up the baby in position. First of all if you are in the market for stroller let me just tell you this is a great stroller. Let me explain because it made me a believer. When my wife first mentioned a $750 stroller, I had to give her the side eye like she was crazy. Once it arrived, I inspected it like a drill sergeant doing barrack inspection and I must say it is very impressive. It's not bulky and easily stores in our trunk and foyer. The basket can be made to face any way we choose, also I like that my wife had received a car seat that was easily attachable to this Quinny. The large durable wheels make it easy to push through rugged areas (tested on my friends stroller not ours because my son has not arrived yet). All in all its better than I thought and a purchase well worth the cost. You get what you pay for and I got more than I expected. 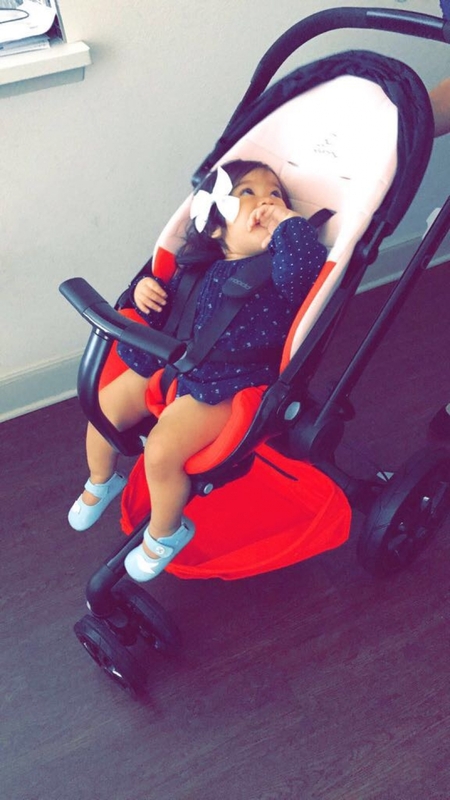 I love this stroller, it's so cute and stylish. 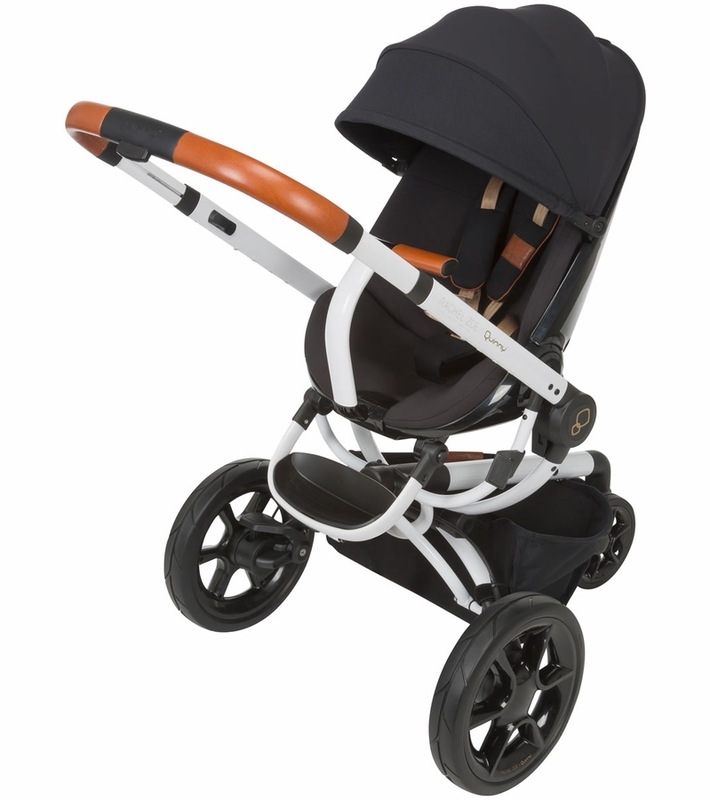 I bought the maxi cosi mico ap seat to go along in red & they are the perfect fashionable pair. works so well and converts so easily from mom facing to worldfacing. 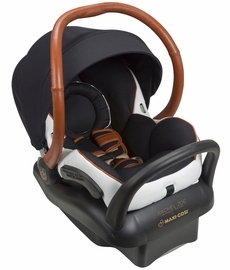 and super easy to our maxi cosi prezi carseat. handels so easy and really easy to move around. opensreally easily too. awesome. Love It !! Worth the investment !!! I was a little stressed making a decision on a stroller. But I must say I made the right one with this stroller. I search other websites and Albee had the best price. The stroller handles well. It's definitely not the lightest stroller but you will enjoy it ! I purchase the hooks for the bags and cup holder as well. Perfecttttt ! looks great! and easy to use. We've been super happy with this stroller. It's so easy to use and handles really really well over lots of different surfaces - including grass and dirt paths - which was important to us. The infant seat is really easy to put on and off, and I can do it without waking up the baby! 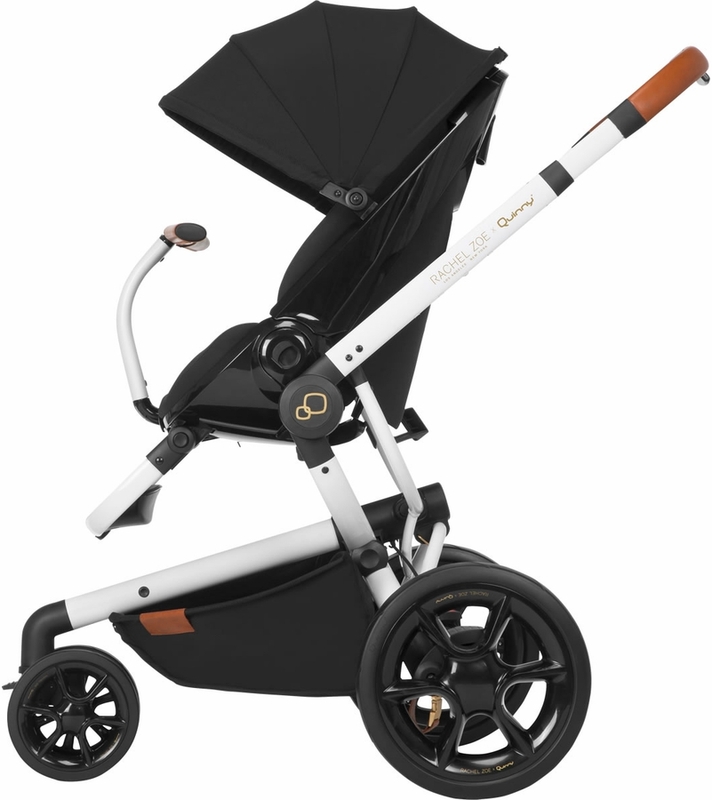 We were debating on either this Quinny Mood or the Bugaboo Chameleon, as far as looks the Quinny wins. My only complaint is that the basket is smaller than I hoped for. 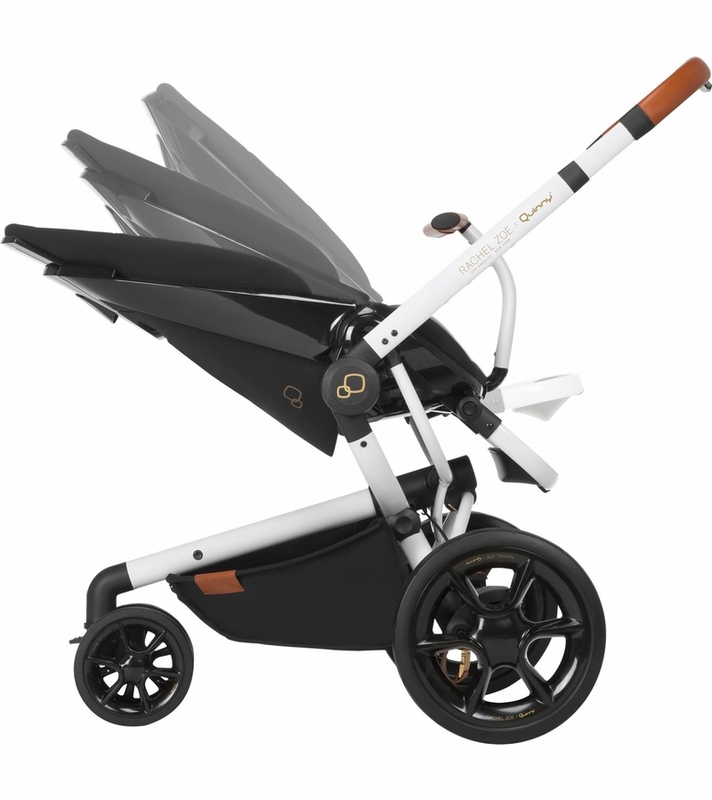 Its also on the heavier side but I like the fact that you don't have to take out the seat to fold the stroller up which is not true for Bugaboo. We also love that we were able to use the Albee Baby coupon for 15% so we got this stroller below what they're selling it for at Nordstroms. Another bonus is that it comes w/ the adaptors for the Maxi Cosi, that's like $50 savings. I can't wait till our little daughter is born and to stroll her around in this posh pram. ProsModern design, only "white" stroller base in the market. Also love how it unfolds by itself. ConsSmall basket and a little heavy.